After years of bad bacteria and fungus ravaging your gut, you need to do more than just balance the fauna. You need to repair the damage. 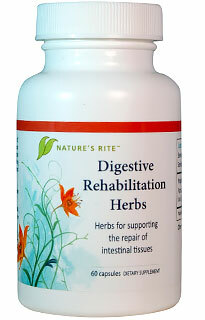 This digestive blend is a special blend of natural supplements and herbs designed to support good gut health so your body can do it’s job. The natural ingredients will help to protect the inflamed intestinal lining while facilitating the body in tissue repair.